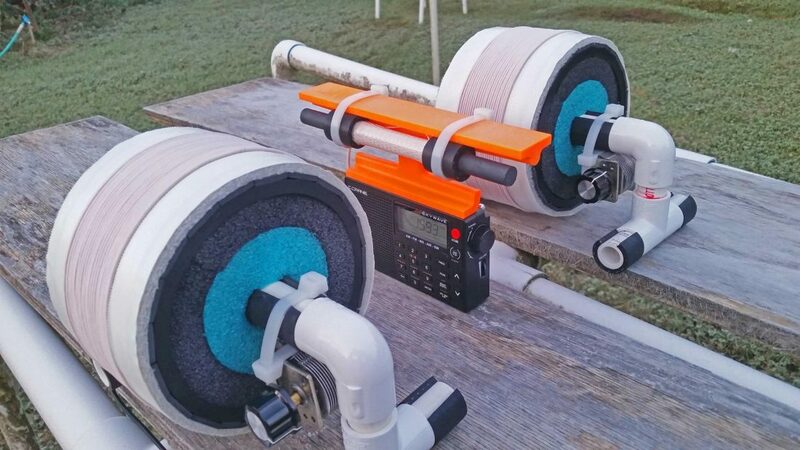 Valentino’s homebrew ferrite sheet antenna. 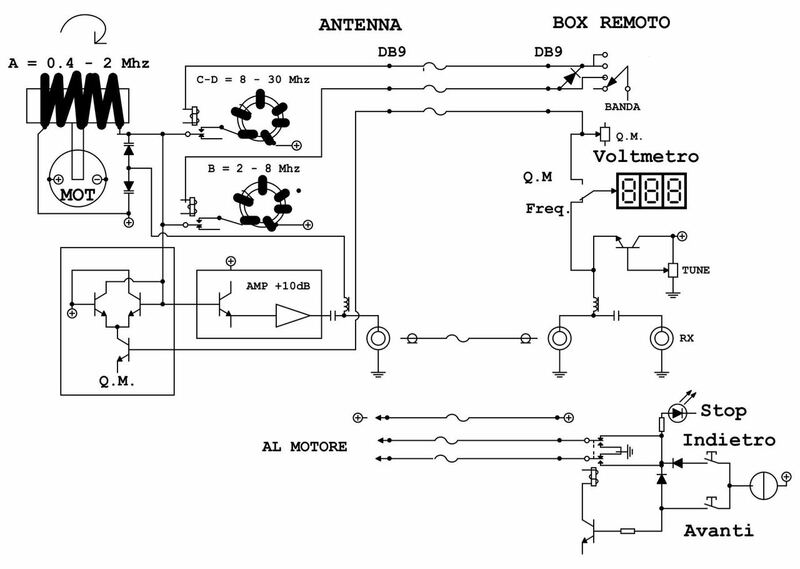 Many thanks to SWLing Post conttributor, Valentino Barbi (I4BBO) who writes detailing a novel approach to FSL antenna design. Ukrainian ferrite bar producers have now finished stocks and have raised their prices. I’ve been experimenting with a new antenna design for about 10 days comparing it with a classic FSL with 20 ferrite bars. The construction is very simple in that the two ends overlap 5 mm. I took a sheet of A4 paper, I cut 5mm paper at one end. I laid this sheet on a 10 cm (10 cm) diameter PVC tube. The uncovered part of the tube is cut, now we will have exactly the exact diameter to fix the A4 sheet of ferrite with the overlap of 5 mm. 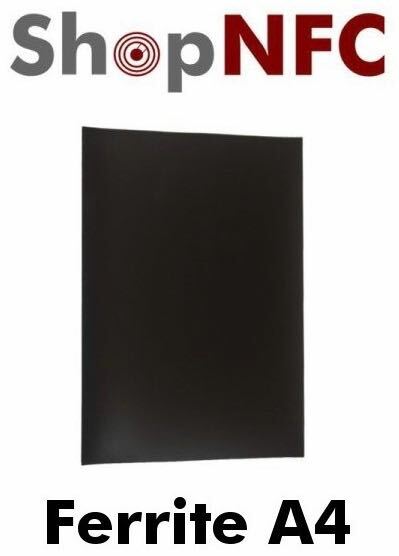 Click here to view the product page and ordering information. 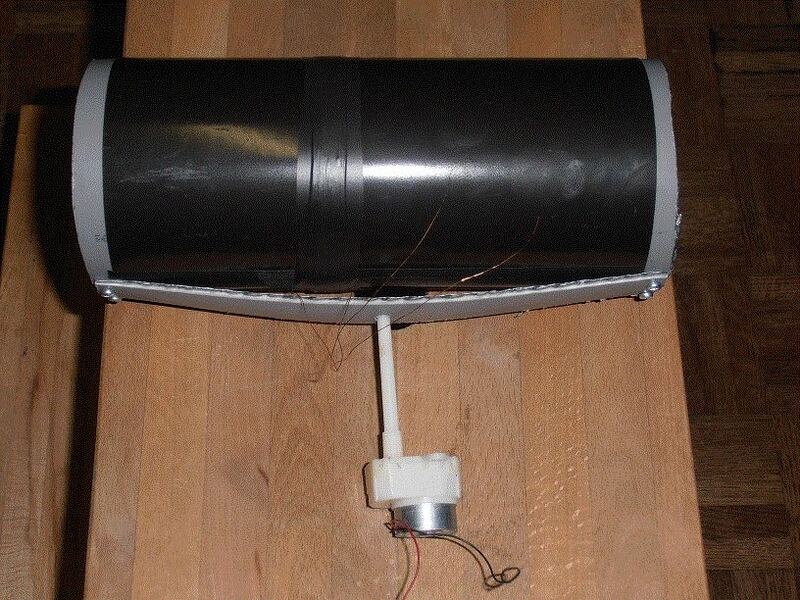 In summary, the main advantages of this antenna design is weight, cost and availability of A4 sheet of ferrite. Click here to follow Valentino’s antenna project on his website. Fascinating, Valentino! 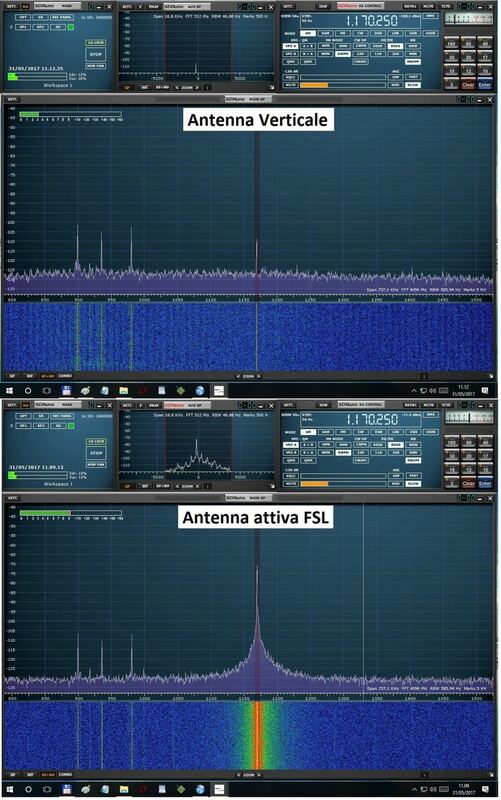 Please feel free to share any further information about this FSL antenna as you experiment. It’s true that ferrite bars are becoming difficult to source. Sounds like this is an affordable alternative antenna design for ultralight DXing. 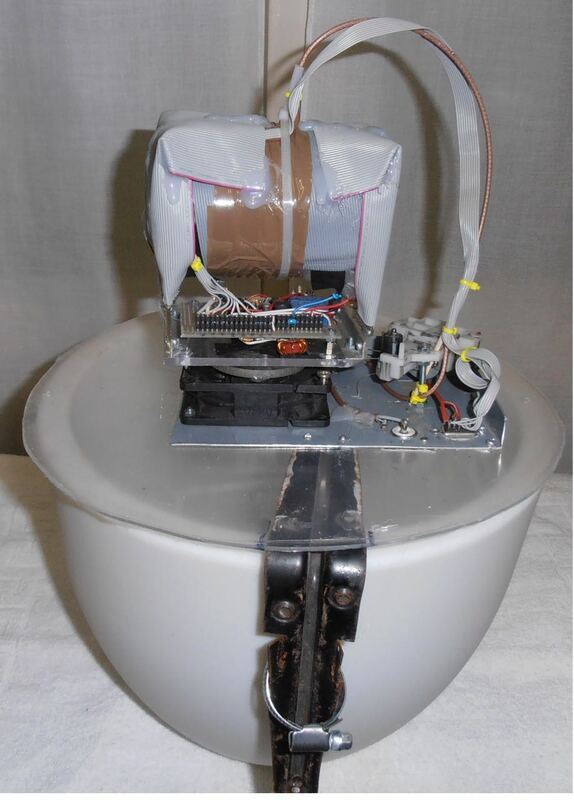 This entry was posted in AM, Antennas, How To, Mediumwave, News and tagged Ferrite Sheet, Ferrite Sheet Antenna, Ferrite Sheet FSL, Mediumwave, Mediumwave DXing, MW, Valentino Barbi (I4BBO) on July 18, 2017 by Thomas. Medium wave DX FSL antenna phasing experiment– 1593-CNR1 (Changzhou, China, in Mandarin) boosted up to strong (S9) peaks by two 5 inch “Frequent Flyer” FSL’s at 1435 UTC on February 25th in my frozen back yard in Puyallup. Unlike other high gain MW antennas, the FSL’s can provide cumulative gain at very close inductive coupling ranges. Click here to download and play MP3 recording. Amazing, Gary! Thank you for sharing this excellent bit of DX! 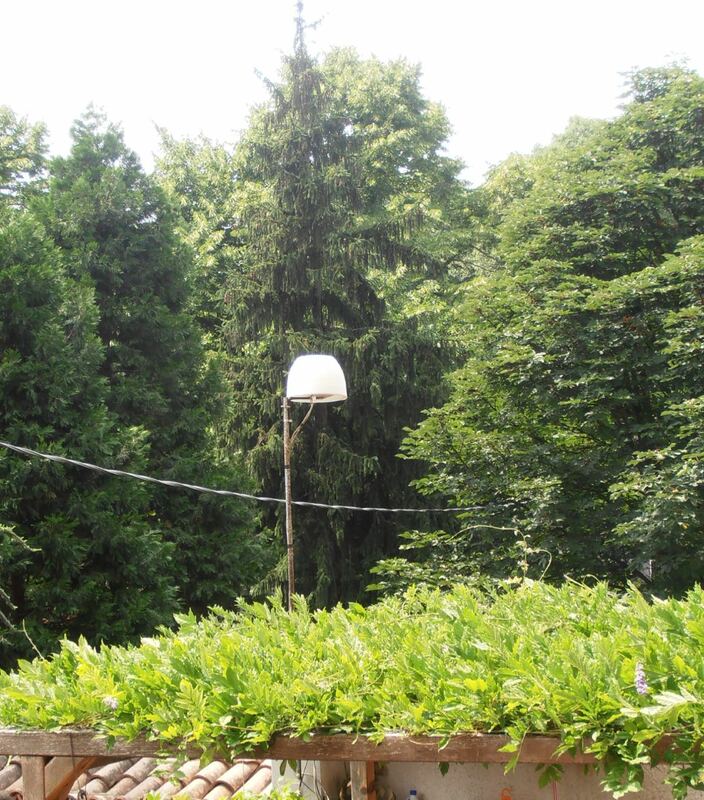 Click here to read more about Gary’s FSL antennas. This entry was posted in Antennas, Mediumwave, News and tagged Antennas, FSL, FSL Antenna, FSL Phasing, Gary DeBock, How To, Mediumwave, MW on March 4, 2017 by Thomas. Hi there, I’ve been rather preoccupied of late, initially with the brilliant Tecsun PL-310ET and latterly with the even more brilliant Eton Satellit. However, in the background (as always), I’ve been trying to catch transatlantic medium wave DX. 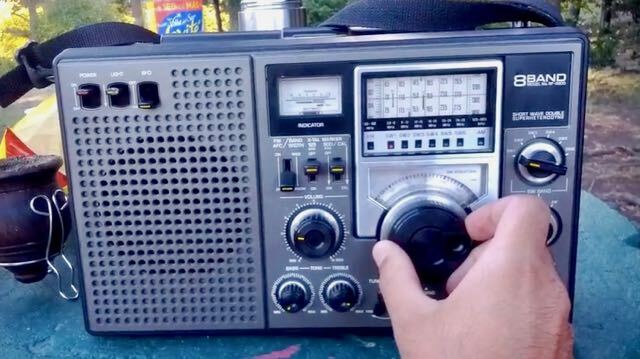 My listening schedule is broadly based on shortwave DXing during daylight hours – when I’m not at work of course, typically a Friday afternoon or at weekends – and always with a portable. 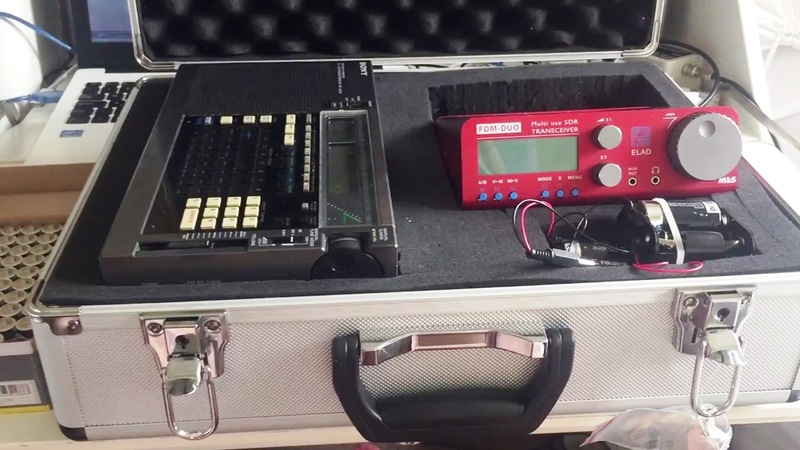 Evenings usually start off with a tune around the tropical bands, followed by setting up the Elad FDM DUO to run some medium wave spectrum recordings overnight. In the past few days though, my daylight DXing has been bolstered by my NooElec RTL-SDR and ‘Ham it up’ upconverter. I bought the device over a year ago and after some initial exceitement, it quickly became quite obvious that I needed a reciever with a bit more ‘oomph’! However, it’s actually proving very useful to view signals on a spectrum, even when I’m conducting most or all of my listening on a different (i.e. higher performing) receiver. 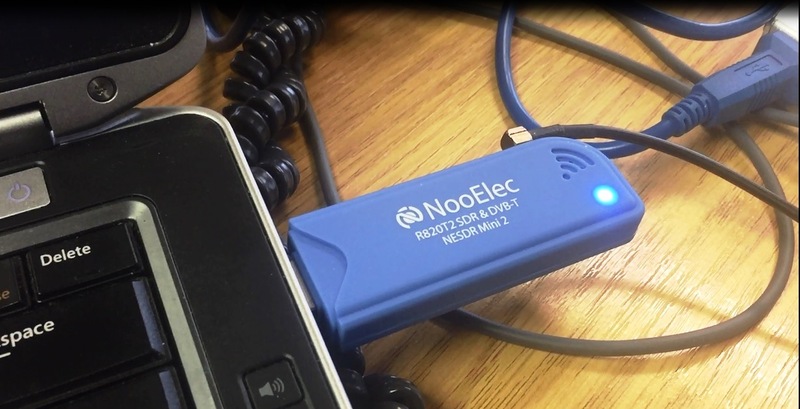 Ultimately, the RTL-SDR is always going to be a compromise, with relatively limited sensitivity, but because by it’s very nature it has excellent selectivity, overall it’s a reasonable performer. 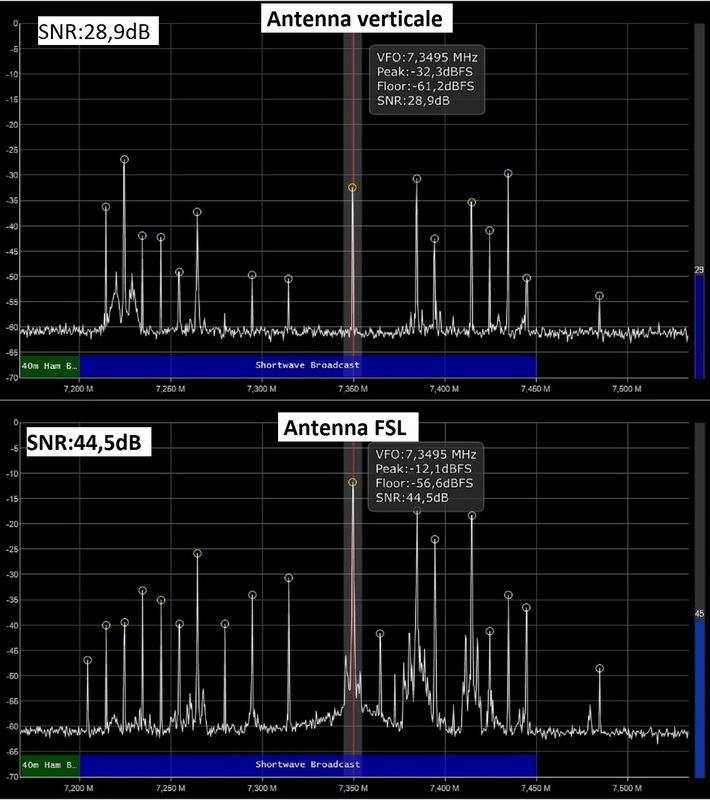 My particular RTL-SDR performs quite well if a decent antenna is employed with it, such as a longwire or the Wellbrook ALA1530 active loop. Anyway, back to the medium wave DX. In the past month or two, I’ve copied a number of stations from North America, with really nice signals, including WRCR Rampano – New York, WFED Federal News Radio – Washington DC, WENE – Endicott and WUNR – Brookline from Newton, Mass. I’ve also recorded a lovely interval signal from RAI Radio 1, Milano and further European signals from Magyar Radio, Budapest and Radio Slovenija 1, from Ljubljana. During the past 18 months or so of DXing, I have been mostly ignoring signals coming into Oxford from the continent. However, that changed a little after I stumbled across the RAI Radio 1 interval signal, which complete with the rather rousing Italian National Anthem, inspired me to dig out some more European DX. I’m actually finding European DX quite rewarding, particularly because it feels new again – not surprising since I haven’t listened to Europeans on medium wave for any length of time since the 1980s. I hope you enjoy the reception videos – embedded video and text links follow below and I wish you all the very best DX. Clint Gouveia is the author of this post and a regular contributor to the SWLing Post. Clint actively publishes videos of his shortwave radio excursions on his YouTube channel: Oxford Shortwave Log. Clint is based in Oxfordshire, England. This entry was posted in AM, Antennas, International Broadcasting, Mediumwave, QRM, Recordings, Schedules, Software Defined Radio and tagged ALA1530, CBNA, CBNA CBC Radio 1, DXing, ELAD, FDM-DUO, Federal news radio, Magnetic loop, Magyar Radio 4, Medium Wave, Medium Wave DXing, MW, New York, NooElec, Radio Slovenija, RAI Radio 1, RTL-SDR, Wellbrook, Wellbrook loop, WENE Fox sports radio, WFED, WRCR Rampano, WUNR, WUNR Brookline on February 21, 2017 by Clint Gouveia. Hi. I own one RF-2200 after buying it in eBay in March 2008. Since then it became my favourite portable radio and as everybody [has commented], its a pleasure to hear MW with it. I explain this due to the fact that it has a good rotative ferrite antenna and also because the narrow and wide filters have a suitable shape for MW: at least in my country each MW is spaced from the other by 10 KHz, so you don’t need a very sharp filter. The narrow one is not so narrow, just enough to attenuate maybe 6 db the splatter from the louder station and not loosing audio quality. When you tune around you have the impression that the filter shape suites perfectly for MW, making the audio quality very pleasant. I would never sell it. If you are interested i’ve captured a short clip while playing with it outdoor on 7 MHz band, hearing ham stations on AM, SSB and CW. Many thanks for sharing your thoughts, Juan! I agree with you completely. At least here in countries where MW stations are spaced at 10 kHz, I find the RF-2200 a mediumwave DX boss! I’m constantly amazed with the RF-2200’s MW sensitivity and selectivity–and low noise floor. That combo, along with the filter shapes Juan mentions and the excellent built-in full-fidelity speaker make for a proper listening experience. 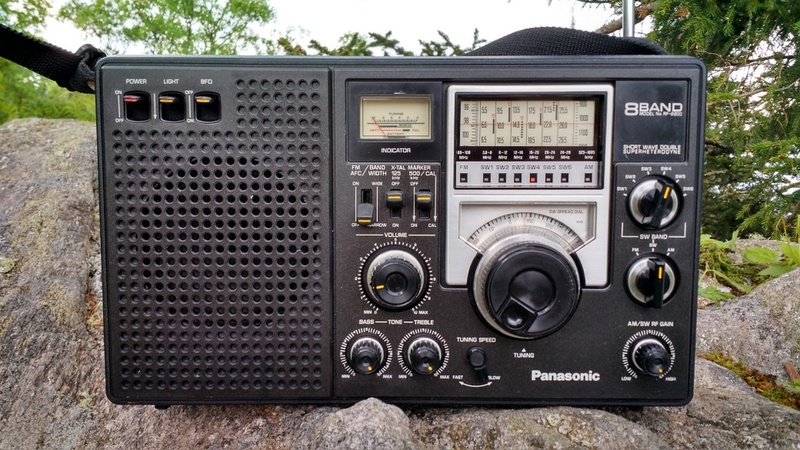 As I’ve said before, the RF-2200 is a radio with fortitude and purpose. The only place I’ve ever really searched for an RF-2200 is eBay. I like eBay, because if you receive a faulty unit, you can typically return it or have some sort of recourse (as long as the seller accepts returns). I would only buy an RF-2200 (or any vintage solid-state rigs) from a seller that has near 100% ratings with a number of radio sales in their past. That is, if you’re seeking a working unit. Though the RF-2200 is vintage and thus might eventually need repair. It’s ultimately reparable by a skilled technician, though. My buddy Vlado, for example, has repaired 2200s in the past–indeed, we cracked my RF-2200 open a few months ago to clean contacts. Panasonic RF-2200s typically cost between $175-300 for one that’s mechanically and cosmetically sound. Of course, NOS units go for much more and units with faults sell for much less. I expect my RF-2200 will outlast me! Click here to search for RF-2200s on eBay. This entry was posted in AM, Mediumwave, News, Nostalgia, Radios, Shortwave Radio and tagged Juan Pablo Carlino, Mediumwave, Mediumwave DXing, MW, Panasonic RF-2200, RF-2200, Videos, Vlado on February 4, 2017 by Thomas.